For the past several years I’ve participated in an annual Thanksgiving service sponsored by the Marin Interfaith Street Chaplaincy. Last year, given the situation in the Middle East, I found myself thinking of Inanna, who arose in those lands. I debated with myself just what I might bring to the service that was relevant and new. What I decided to do was to speak about Inanna and the troubles in her ancient lands, and then have us do a spell together using a call-and-response; it went well. 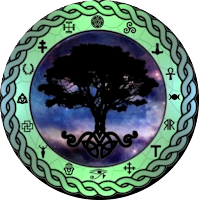 Since last year went well using Pagan concepts (Inanna and spells) that are less familiar and less accessible to mainstream religions, this year I decided to add another Pagan notion, that of entheogens (wine, mescaline, et al.) and the change of consciousness that accompanies their ingestion. 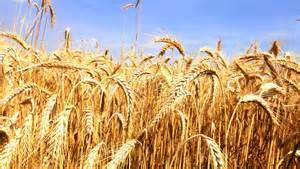 In my mind was John Barleycorn, except that many homeless folks struggle with alcohol abuse and my presenting him as a harvest god who lives in the barley would have been insensitive to their situations. So I skipped talking about entheogens and simply introduced the idea of the the divine spirits who inhabit different plants, specifically grain crops. Then we sang “John Barleycorn,” with everyone singing the refrain together. “All among the barley, who would not be blithe, when the ripe and bearded barley is hanging on the scythe.” I love this song. I love the feeling I experience when we sing these words together. I can practically see waving golden grains. So that’s what we did. Corby and I sang the verses and everyone joined in the refrain. And the ripe and bearded barley is hanging down its head. When the ripe and bearded barley is smiling on the scythe. The spring is like a young man who does not know his mind. The summer is a tyrant of a most ungracious kind. The autumn’s like and old friend who loves one all she can. And she brings the bearded barley to glad the heart of man. The wheat is like a rich man; it’s sleek and well-to-do. The oats are like a pack of girls, laughing and dancing too. The rye is like a miser; it’s sulky, lean and small. And the ripe and bearded barley is monarch of them all. At this Thanksgiving Eve service new sleeping bags, packages of socks, and such array the harvest altar along with pumpkins, ears of corn, and other harvest. They are distributed at the conclusion of the ceremony. I reluctantly must say that the other chants offered at this service were, to me and Corby at least, pretty lifeless, except for the music of the Lighthouse Gospel Choir of Marin. Singing “All Among the Barley” together livened everything up. We concluded with a chant lead by a woman from San Francisco Theological Seminary. It’s one we all probably know, “All Shall Be Well.” However, the folk tradition being what it is, we sang it as one single note instead of with the melody I’m used to. Nevertheless, it proved to be an effective seal for the spell. I’ve reported in the past about memorials for those in our county who’ve died without a roof over their heads. They’ve taken place in summertime and have begun with a procession through the streets. This year was different. The National Healthcare for the Homeless Council has designated December 21 (on or around the date) as Homeless Persons' Memorial Day. This year we joined others all over the country in memorializing those unfortunate and often premature passings. Street chaplain Rev. Paul Gaffey asked me to offer the prayer and lead the gathering in a chant I’ve done before. I had something better and more seasonal to share because the service, and the named day, was scheduled for December 21, the first day of the returning sun. So instead I delivered a brief reflection on the return of the light. Then, at the conclusion of the ceremony, after we’d all lit candles from a single flame and assembled on the terrace in front of 1st Presbyterian Church of San Rafael. It’s lively. It’s fun. It’s affirming and encouraging. And it keeps the legacy of Pagan songwriter Charlie Murphy alive. This one I was able to find on YouTube (albeit we didn’t have the enhancement of a gospel choir). I was invited to perform a ritual at the All Hands Together Harvest Festival on September 17 at a Metro Detroit suburban park, where Pagan Pride Day has been held a number of times. The group formed about 2 years ago and want to be truly representative of the diversity of mostly non-monotheistic faiths. Hence the name, as Pagan is possibly no longer the one catchall term for non-Abrahamic faiths like ours. The group is composed mostly of Heathens, Hoodoo and root workers, possibly some Druids and a couple of Witches. So right off, this is not your typical umbrella group, to me at least. But there is a great deal of trust and friendship amongst the members. Matthew Orlando, the current President of AFA is also a Libertarian candidate for Michigan’s 9th Congressional District. 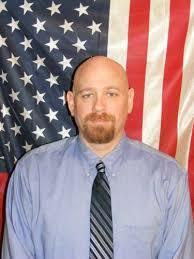 He is one of the very few Heathen/Libertarian candidates running in the US at this time. My contact point and entry into AFA is through Kenya Coviak, an awesome Black Witch, HPS of the Black Moon Grove that has operated in the Detroit area for years. She writes for various Pagan blogs and was recently featured in the Wild Hunt in an article about Pagan Clergy and Counseling (I was too!). Ancient Faith Alliance, AFA, has done a number of community events over the last year, including the upcoming Fire and Frost Festival (December 3), celebrating Chili, of all things, and also stumping for volunteers, donations and other community projects supporting Pagans In Need (PIN) and a secret Santa Holiday program. They are supportive of many groups and orgs in Metro Detroit, including Pagan Pathways Temple, The Midwest Witches’ Ball, Convocation and others. Arriving at the Harvest Fest I was warmly greeted by old and new friends and immediately told where the Free Coffee was! Splendid! It was a cooler and rainy day; it had been raining for quite some time, though it did eventually clear up, including reasonably drier grassy areas for the various rituals and performances. Despite the inclement weather there were lots of Vendor tables with tents, over 20 at least. There were at least a dozen classes set up for the 8 hour event and several rituals including my own, a celebration and workshop for The Waters of the World, something well known to members of the Covenant. I attended a Dream World workshop taught by a Priestess of a Celtic-Romano family trad. I had no idea they existed in my area and the workshop was informal but informational. There were also live performances. Day Oshee Maatin performed some intense rap numbers, sporting Mayan or similar ancient native garb from Central or South America. Quite a performance! DJ Brutal spun a variety of music, including some designed to get the kids out dancing. Kenya’s husband Kyle is also quite proficient at getting the young ones out dancing and being silly. There was an Art Exhibition with a chance to win some and a number of other children’s and other activities like coloring/painting, scavenger hunt, Hammer tossing and more. A local Priestess, Enfae performed a very sweet hand fasting in front of the DJ stage, which gathered a jubilant crowd and folks shared tasty chocolate cake afterwards. All here now, in one great Bond. Waters of the World . . . . Become! With that I was done and as it was moving near the end of the Festival, I made my way around and said thanks and good bye to various folks, wishing all Blessed Be. Respectfully submitted by Oberon, National Interfaith Representative. Marin Interfaith Council offers periodic retreats, open to all. Two speakers from two different religions reflect on the same topic. This is about the most recent retreat, held at Green Gulch Zen Center last week, and posing the following questions. What would interfaith spirituality look like if we practiced it faithfully? How do we engage the unique practices and teachings of our own traditions in a way that includes, rather than excludes, those of other traditions? 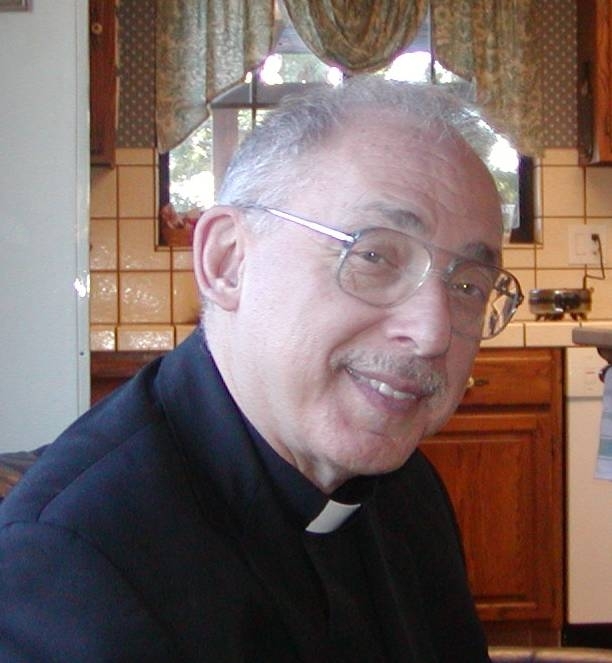 Is there a life-giving path in each tradition that is both unique and inclusive? Fr. Tom also explained, for us non-Catholics, that there are different kinds of priesthood: Diocesan priests “make a promise.” Monastic priests and nuns in orders “take vows.” I had no idea. The second speaker, the Rev. 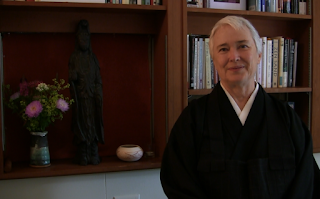 Shokuchi Deirdre Carrigan, is a Soto Zen priest in the lineage of Shunryu Suzuki Roshi, founder of San Francisco Zen Center. She met her teachers, Zen Master Tenshin Reb Anderson and Senior Iyengar Yoga teacher Donald Moyer 30 years ago. She has been practicing, and later teaching, Zen and Yoga. After Fr. Tom spoke, Shokuchi, who was brought up in a Catholic family, was visibly moved when she said that if she’d been brought up with the kind of Catholic scriptural interpretations and teachings Fr. Tom offers, she may not have sought spiritual sustenance elsewhere. Who seeks the good, and has obtained peace. Let one be strenuous, upright, and sincere. Without pride, easily contented, and joyous. Let one not desire great possessions even for one’s family. In high or middle or low realms of existence. May all being be happy. Let no one decieve another nor despise any being in any state. Let none by anger or hatred wish harm to another. Let one practice the way with gratitude. It’s been several months since MIC has sponsored a retreat, and I for one have missed them. The current staff, including Interim Director Rev. Scott Quinn, Acting Programs Associate Stephanie Humphrey, and Executive Assistant Janice Lum, did former Executive Director the Rev. Carol Hovis proud. More about Sister Marion here, here, here, and here. There’s lots more. that seeks to bring together faith and moral leaders from across the landscape of the social justice sector to build an activist community and network grounded in right relationship. Our goal is to craft a blueprint for multi-issue organizing that presses past transactional and competitive ways of working and being together toward a vision of progressive organizing that can allow us to stand with and for each other in honesty, truth and compassion other over the long haul. When I checked the website, I found that I had engaged with several of the key people over the years, at both Auburn and MountainTop about which I’ve blogged. I was glad to have another opportunity to engage with the convener, Lisa Anderson, her colleague in Atlanta, Melvin Bray, and Gabriella Lettini of SKSM. The first meeting was held in Chicago, the second in Atlanta, and this was the third. They plan more in other cities, which is where you, my Pagan colleagues, come in. I will be asked for suggestions of participants. So if and when one of these meetings takes place in your area, I can let them know of your interest. About half of those 20 religious leaders at last night’s meeting were POC and the majority seemed to be (some said, some didn’t) LGBTQ folks. There was one Muslim, several Jews, and lots of Protestants. Evidently two participants were Buddhists, but I didn’t hear them state that. Needless to say, this collaboration needs more diversity among its participants. Same problem at MountainTop — a noticeable absence of Catholics, Buddhists, and Hindus, much less Pagans. I spoke to the convener, Lisa Anderson, about that observation, and disappointment, at MountainTop (also co-sponsored by Auburn) as well as at Table to Action. She said they were well aware and wished to remedy that. So for the next meeting in this area I will be inviting some Catholics, Buddhists, and Hindus whom I know in local interfaith. Maybe a Pagan or two as well. To be clear, there were four Witches at the first MountainTop in 2013, which I consider a more than adequate representation. Evidently there were others at the second MountainTop gathering; I did not attend. 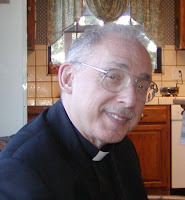 I also mentioned this observation to Dr. Lettini, the local host, who told me the same thing I heard after MountainTop, which is that others were invited and for whatever reasons were unable to attend. I told both Lisa and Gabriella that I was surprised, because in my experience in local interfaith my friends from the Roman Catholic Dominican Sisters of San Rafael are among the most committed activists. 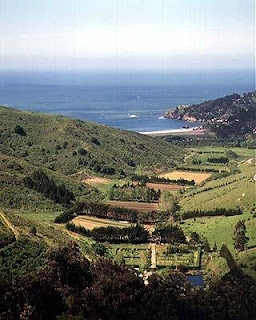 So are my friends and colleagues at Green Gulch Zen Center, Spirit Rock (Vipassana), and other local Buddhist groups. So for our next meeting I’m soliciting one or more of my Catholic interfaith colleagues, whom I know would be a good addition to the mix. By that I mean they’re open-hearted and caring, accepting of diversity and not hesitant to work. I’m eager to see what Table to Action does and to participate to the extent that a congregation-less Pagan can. That said, I thank the Covenant of the Goddess (an assembly of smaller congregations called covens) for financial support for my more distant interfaith activities. Last month I attended one of MIC’s religious leaders’ gatherings at Westminster Presbyterian Church in Tiburon, California. As is customary with these gatherings, three leaders from three different religious traditions spoke on the same topic or theme, followed by small group discussions and Q&A with the presenters. The Rev. Stephen Hale of Green Gulch Zen Center said Zen teaches practitioners to honor the similarities and differences of all faiths. Zen also stresses impermanence and seeks to end suffering. With respect to theism, trying to prove or disprove the existence of God(s), efforts are futile because “ultimate reality is beyond comprehension.” Rather, one’s efforts are better expended in cultivating and acting with kindness, generosity, and compassion towards all. Neighborly neglect seems more the norm in contemporary society than in earlier times. Nowadays people focus on careers and acquisitions, and families relocate more frequently, in my view. I think her suggestion is a good one. We humans fear what we do not know, so the obvious remedy is to listen and learn, and to reciprocate. When queried about the prescriptions, prohibitions, and exhortations in sacred text, she responded that one is judged based on piety over obeying texts. This statement directly contradicts the interpretations of the precepts of the Koran by those who seek to eliminate or convert all non-Muslims by jihad. I welcome Moina’s alternative views. The third speaker, the Rev. Rob McClellan, Senior Pastor at host congregation Westminster Presbyterian, said that when he was at Reed College in Oregon, either he or a group with which he was affiliated issued an apology by testifying to all the wrongs done in the name of religion. Generally speaking, I love these opportunities for religious people to share their views, beliefs, and experiences in an appreciative, non-judgmental milieu of multi-faith colleagues. I’m grateful to Stephen, Moina, and Rob for their sharing and to Marin Interfaith Council for providing the opportunity. On September 8th I was elected to another four-year term on the Global Council of the United Religions Initiative. Recently, the URI went to staggered elections for its Trustees, so half of the Regions in the URI elect Trustees every two years for a four year term. The mix of these new Trustees and those in the middle of their terms from the other four Regions (Africa, Asia, Europe, and South East Asia & the Pacific) met for the first time on today's conference call. The call included the outgoing Trustees, so they could be honored before their farewells. This was the first time we used the Zoom meeting software for a meeting. It was great to see everyone's faces all over the world! And it apparently saves the URI thousands of dollars a month in phone bills! The Global Council then dealt with several issues of interest. * They elected three At-Large Trustees - myself, Becky Burad (USA), and Chief Phil Lane (Canada). Becky had just ended her first four-year term as an At-Large Trustee and has been doing a great job as the URI's Treasurer. Chief Phil was tasked with focusing on indigenous issues, rather than representing one of the Regions. I was brought back on for my expertise with the URI's Bylaws (I've Chaired the GC's Bylaws Committee for two years), my knowledge of the URI's administrative history, and to increase the Global Council's religious diversity. I have served on the Global Council as a Trustee since 2002, with a brief period off the Council in 2010-2012. The only Trustees who have been on the Global Council this long are myself and the URI's founder, Bishop Bill Swing. While I am of course honored to be asked to serve again, I think that it's important to look at the bigger picture and note that the URI has had a Witch on its Board of Trustees almost continuously since its founding! This speaks well of its commitment to maintaining diversity and its acceptance of Paganism. * Chief Phil was talking to us from the Standing Rock Reservation. We looked at the problems going on there and how we can address them. The Standing Committee will decide on an appropriate course of action. Of course, for many in other parts of the world this was entirely new information. * We approved the incorporation of the existing President's Council into our structure as an Advisory Committee. The President's Council raises most of the URI's $3.4 million annual budget. BTW, Bart is in a Cooperation Circle with Morgana Sythove of the Pagan Federation International, a Wiccan known to many in CoG. * We talked about our annual face-to-face meeting of the GC. It looks like - once again! - we will be imitating CoG and starting a system where the annual meeting moves around the world, hosted by a different Region each time. As of the CC Approval Committee meeting on Wednesday, the URI will have over 800 Cooperation Circles in over 80 countries! * We are in the process of a major website overhaul that will make it easier for folks to find CCs that are doing work in particular areas of interest around the world. In the meantime, the website is updated all the time and well worth checking out -- www.uri.org The current Action Areas of the URI CCs are listed below. As always, I am deeply grateful for the support of the Covenant in this work. In order to better reflect the work of our CCs and to be consistent throughout URI, we propose using the following action area categories below. We also included examples to help clarify the broader categories. You may identify your CC using more than one action area. If you are a CC working on an area not captured in the categories below, please let us know via email to cc@uri.org. We welcome your feedback, and thank you for the important work you undertake. 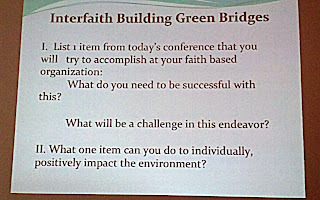 The Building Green Bridges Workshop was held on Saturday April 2nd at the Birmingham Unitarian-Universalist church “for faith-based organizations interested in starting or enhancing an environmental sustainability program at your pace of worship.” Three different speakers had about 45 minutes to present with lunch and round table discussions and other networking. There was a brief registration with coffee, fruits and some breads and donuts before Karen Stanyke welcomed everyone and Rev. Penny Hackett gave a prayer for our proceedings. First up was “The Challenge of Laudato Si” with Sr. Patricia Benson, OP, and PhD; a Catholic nun and retired Associate Professor of Spirituality, who presented on Pope Francis’ recent Encyclical on the Environment, a plea for all people to come together to address the degradation that is destroying the Creation. In detail she examined the various chapters and paragraphs, showing specific verse and protocol that supports caring for our Creation. The Pope admonishes us to work against and beyond the “throw away culture” that has been created, and grows seemingly worse all the time. Statistics show since 1950, the world has consumed as much as we did in all of time before that year! The breakdown is worse: the most affluent 25% of us, consume, utilize 75% of earth’s resources. But most sobering to myself was the unavoidable fact that the divide between 1 and 99 % is mostly between Americans and everyone else. Even with stagnant wages and other realities of capitalism, most Americans are still within or close to 10% of wage earners. Assets in the nature of $75,000 will put you in the 1 % according to Sr. Patricia. I had no idea, quite frankly. 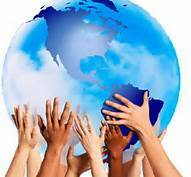 As Americans we are very insulated from the costs of the world, as it affects all others. Species degradation is a major concern, of course and we were shown pictures of Coral ‘bleaching’ due to corrosive pollution and toxic waters. 150 to 200 species disappear every day, with many being minute, tiny microscopic even, but all with a significant role in the biosphere, and needing our care. (Chapter # 33). While the world picture is serious enough and Pope Francis’ work has many suggestions and goals for us to undertake, to hopefully address all this, Sr. Patricia also talked about the specific and serious problems occurring in the state of Michigan. Some of the oldest pipeline structures in the Lake systems of our state are showing major signs of rust and other degradation. Some of these lines are nearly 100 years old, like one in the Detroit River near downtown. They are so sensitive; their repair would be fraught with possible accidental leaks, polluting a major source of water for not only Detroit but also the entire Metro, South East Michigan communities. A possible, even greater potential leak is currently in the news, the Enbridge 5 line, near Mackinaw Island, at the top of the Lower Peninsula of Michigan. Many people, places and livelihoods would be jeopardized. Sr. Patricia also spoke about the situation in SW Detroit’s refinery area, where currently legislators are trying to okay even more pollution through a deal with tar sands producers. This area, Zip code 48217, is by EPA standards; the dirtiest area of Michigan (and mostly poor, minority folks have lived there for many decades) but is also the 5th dirtiest zip code in the United States. For years statistics have shown a greater incidence of respiratory and related health concerns in its’ population. Perhaps around 4 or 5 hours from Detroit, over the river and into Canada, near the Bruce Peninsula, is the Bruce Facility of Ontario. It is the biggest nuclear facility in the world, according to Sr. Pat. It is also one of the oldest and its position in the Great Lakes region would mean much devastation for the region and its water systems if aging infrastructure problems – or worse, ever happen. 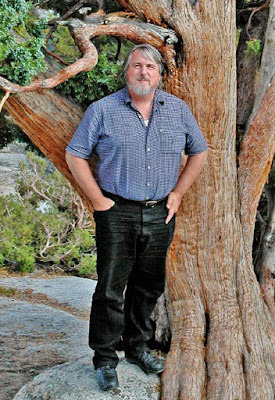 Next, was Climate Change & You: An Environmental Awareness Presentation, by Jerry Hasspacher. 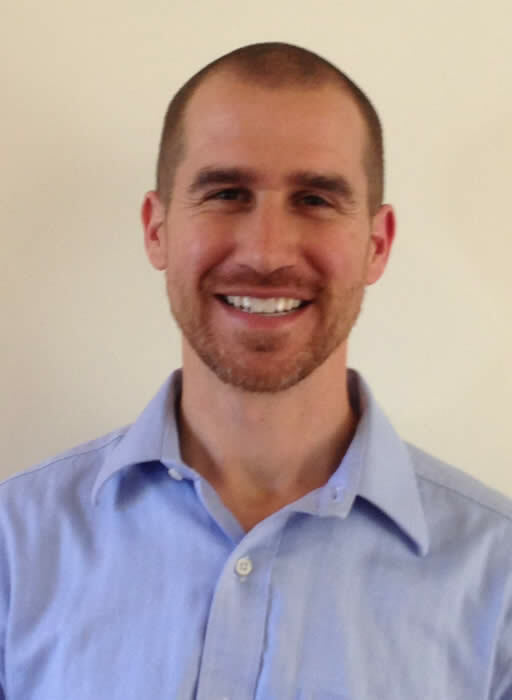 Mr. Hasspacher has a variety of credentials in the environmental areas, working with the Sierra Club on their Environmental Equity protocol and also with the Sierra Club of Metro Detroit. He chairs the 12th annual Green Cruise, an alternative to Metro Detroit’s “Dream Cruise”, which glorifies older classic cars with several days of White Privilege – major traffic, parking snafus as fans tailgate and otherwise disrupt everyone else from getting around some of the major avenues in the area. Much of what Jerry does is advocate for commonsense green solutions. For example, there are good reasons to let some areas overgrow grass, lawns or semi rural landscaping. Highway embankments would deal better with flooding issues if the routine short-short lawn care were limited to maybe once or twice a year. These principles apply to other areas and also make sense in terms of water and other resource use. In general, as any conservationist should know, our system of over cutting trees is wrong. Jerry clearly points out the future, learning a new, yet old way of living in balance. As most states, communities suffer some form of austerity, we simply have to learn how to do better with less. 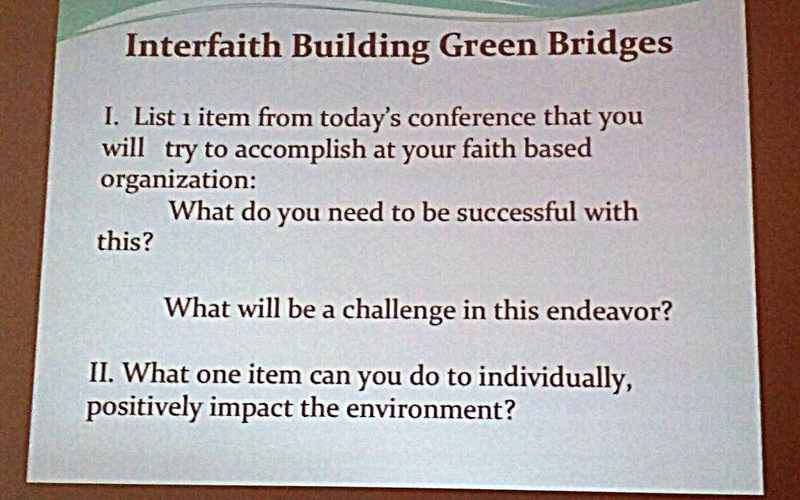 After a 15-minute break, the final session, ‘Pathways to Sustainability: The Greening of US Faith Communities’ began. 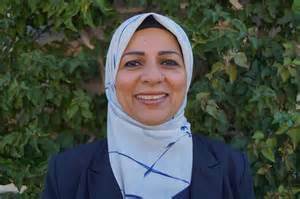 Cybelle Shattuck is a PhD candidate at U of M’s Natural Resources & Environment department and has also served with the Board of Directors of the Michigan Chapter of Interfaith Power & Light. She brought a unique, grounded tone to her presentation, through a series of anecdotes from around the country, of different Churches and Synagogues that decided to embrace environmental concerns. The Green Synagogue recreated their entire space with recyclable materials and involved the entire congregation at every state of the plan. The Madison Wisconsin Christ Community involved their young, obtained grants for solar panels and transformed much of their surrounding area into a prairie, as it once was. Their research led them to many ideas for regaining and preserving natural habitats. There were several other examples of modern congregations advocating, creating and sustaining projects designed to better the environment and to involve more people from local communities. In all cases, if planned with the faith community’s involvement, the excitement and commitment really make it happen. Later, during lunch I chatted with Cybelle on many topics and she was quite aware of local Pagans in her home state – California, as well as her new home in Michigan – also working towards environmental protections. She has spent a lot of time in Unitarian Universalist churches and also brings that approach to her work. There was a brief update for Oakland County environmental things by Commissioner Jim Nash who has been a lifelong conservationist since his father brought him up to believe in Theodore Roosevelt’s own “moral obligation” to do so. He talked about the extreme flooding that has occurred in recent years, including the one in August of 2014 where I ironically was attending the NAIN conference in Detroit and was one of many people impacted that night. Jim’s other concerns were excess algae problems, especially in Lake Erie and the efficacy of the storm water utility systems that are very old and need replacing and repair work. He highly advocates for people learning more skills, to do it yourself, as sadly, he sees more compromises on the overall infrastructures of our area. Until the political will exists to expand infrastructure spending we may have to expect more difficulties with quality of life as well as public health. I picked up a number of flyers and materials about various concerns; ivory hunting, unethical procedures in livestock production, The Citizen’s Climate Lobby on Carbon fees. I had nice conversations with a member from the latter group at my lunch table, as well as Karen Stanyke, one of the organizers from the church. Karen was unaware of CUUPs as a part of the UU and indeed there are very few groups in Michigan UU churches. She mentioned a water blessing ceremony that UU members have in the fall, so I may attend that. We ended with a circle prayer led by Yusuf Barrat, a self-proclaimed Palestinian Pagan who came to America as a 12 year old refugee after WW2 and the creation of Israel. He tells us that a part of this tradition comes from Native American prayers and ceremonies, which borrowed them from Pagans. While I’m not sure everyone would share his sentiments it was again a clear moment of how in the Interfaith community, and also specific churches and religious organizations, we see the Earth as sacred and needing our help. We invoked the four directions starting in the North then we honored center, above and within. As we reached for the sky, we brought our arms to hug ourselves and then grasped each other’s hands for Yusuf’s final prayers. The crowd of mostly Christian denominations smiled and seemed as comfortable as any similar group of Pagans or New Age folks might have. All in all, a worthy experience.